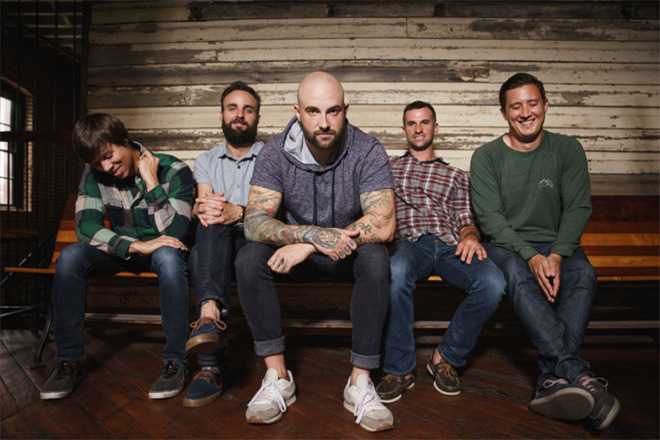 In a Metal scene that cannot seem to agree on much of anything, it is difficult to argue with the love that is prevalent for the Grammy-nominated August Burns Red. With two years lapsed since the release of Phantom Anthem, the legendary Pennsylvania quintet are back with a sprinkling of musical magic and a princess named Zelda, and it all comes together in the form of the Phantom Sessions EP, which arrives on Friday, February 8, 2019, thanks to Fearless Records. The little band from Lancaster who could (and would), August Burns Red (or simply ABR) formed in 2003 in Amish paradise. Over the past sixteen years, these hard-working Pennsy boys have released seven killer albums – ranging from 2005’s Thrill Seeker to the aforementioned Phantom Anthem – and even earned a 2016 Grammy nod for “Best Metal Performance” along the way. Tireless road dogs, the quintet have never once opted to rest on their laurels, instead hitting the road with nearly every band in the scene, from A Day To Remember to All That Remains, The Devil Wears Prada to Silverstein. And back at home in Lancaster? Well, they are known for their raucous Christmas shows that pack the Chameleon Club every December. For 2019, August Burns Red — Jake Luhrs (vocals), John “JB” Brubaker (lead guitar), Brent Rambler (rhythm guitar), Dustin Davidson (bass), and Matt Greiner (drums) — want to deliver fans a little something extra that’s packed full of some childhood nostalgia. With the help of long-time collaborators, Producers Carson Slovak and Grant McFarland, the quintet present the aptly-titled Phantom Sessions EP, a collection of five tracks that are either leftovers from the Phantom Anthem sessions, reimagined instrumentals, or a big surprise for Nintendo lovers. Immediately in-your-face, “Midnight” acknowledges the battles that we all fight, displays the exceptional guitar work that one would expect from the band, and builds toward moments that are built to inspire anthemic sing-alongs. Guaranteed to be a highlight of the band’s live set very soon, “Midnight” proves that it’s okay to not be okay because we can all be saved. Now, here’s the thing: if you were hoping for tons of leftover bangers from the all killer, no filler Phantom Anthem, well, sorry. There’s “Midnight” and then what follows are four instrumental tracks that are exceptional representations of August Burns Red’s sonic talents, engaging and evocative tracks that lack in Luhrs. As if to lure you over to the instrumental side from moment numero uno, to prove that ABR are stellar musicians with soulful hearts and completely content with being geektastic, the band have authored their own take on “The Legend of Zelda” theme. Yes, the classic Nintendo game! Axes blazing in a dueling inferno of inspiration that sees Brubaker and Rambler leading Greiner and Davidson in an instrumental of the most epic proportions, “The Legend of Zelda” is poised to set your nostalgia on fire. Nerds and Metalheads alike will rejoice! This moves ABR into the heavenly instrumental “Laniakea,” which is Hawaiian for “Immense Heaven” — and it sounds like it. It flows flawlessly into another epic, an instrumental reprise of “Coordinates,” one that goes way off into left-field to prove the band’s musical competency with some seriously surfy moments and, shockingly, some dusty Western edges, as well. Ultimately, it lends a cinematic feel, one that would make it fully suitable for the next blockbuster film soundtrack. Then, everything wraps up with a fun, Midi version of “The Frost,” which keeps the video game vibes running strong and caps the collection off with a smile. While the Phantom Sessions is, yes, an EP, it packs a definite punch at just over twenty-minutes of superb, rocking instrumentation from one of Metal’s finest. From emotional travels beneath the Hawaiian sun to spirited surf sessions, to a shield-bearing Link to the past (see what we did there? 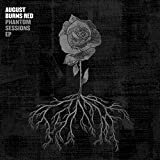 ), August Burns Red pop into 2019 to remind everyone that, yeah, they are still brilliant at what they do. 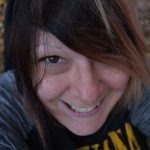 And it’s certainly not hard to grasp what so many Metal fans (and Bigfoot) love about this band: their technical proficiency is astounding, they a depth of sincerity and immense heart, and it all comes together in a package that is undeniably infectious — even when it lacks words to sing. For these reasons, Cryptic Rock give August Burns Red’s Phantom Sessions EP 5 of 5 stars.